WORKERS in Singapore can expect lower pay hikes next year, as firms count costs more carefully amid tepid economic growth. Overall salaries are likely to be bumped up by 4.4 per cent for next year, down from this year's average rise of 4.7 per cent, according to a survey by management consultancy Hay Group. Variable bonuses are expected to remain at 2.3 months for next year, the same level as this year's. 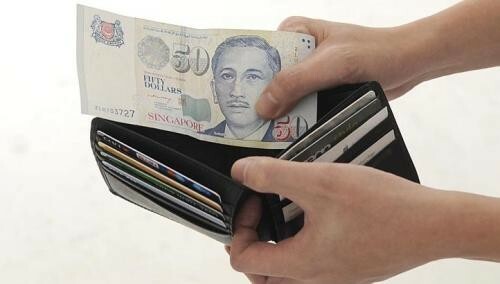 The consultancy surveyed 193 Singapore-based companies in March and concluded that employees should anticipate only "prudent" pay rises, it said yesterday. "Organisations are feeling the need to manage business costs in a slower economic environment this year, and a substantial part of (that) in Singapore is managing the cost of employment," said Mr Victor Chan, Hay Group's regional general manager (Singapore and Asean) for productised services. Employees in life sciences, pharmaceuticals and services industries can look forward to the best pay rises of between 5 and 6 per cent for this year and next year, Hay Group said. Mr Jimi Tan, founder of foot reflexology chain Kenko, plans to boost wages by 10 to 15 per cent both this year and next, depending on each employee's position and individual performance. "Because of the manpower shortage, people are doing more work than they usually would, so I'm paying them more," he said. Mr Tan is now training the best staff to be more productive so they can earn more next year. On the flip side, workers in health care, transport, the public sector and leisure and hospitality are in for the smallest pay rises, Hay Group said. The group also said more than half the firms polled plan to adjust staffing levels this year. The average addition to staff strength will be 9.4 per cent, it added. Most of the new hiring will be in engineering and sales, followed by administration and support services, customer service, finance and accounting, and marketing. "Those who have specialist knowledge or industry-specific technical skills, such as engineering, will continue to command a higher market differential as compared to more common jobs such as customer service and marketing," said Mr Chan. Other recruitment firms expect similar hiring and salary trends. Tower Watson said salaries here are expected to rise by 4.5 per cent this year, while Hudson reported more employers plan to step up hiring this year compared with the same period last year. In financial services, hiring is still strong for functions such as risk, compliance, IT and project management, said Mr George McFerran, eFinancial Careers' managing director for Asia-Pacific. But overall, the sector has turned more cautious on recruitment because firms are under a lot of cost pressure, he said. "Keeping headcount flat seems to still be the preference. But companies that keep headcount flat globally could increase some in Singapore and cut elsewhere." Ms Stella Tang, director of human resources group Robert Half, is tipping pay hikes of about 5 per cent for finance, accounting and financial services professionals. Healthy salary rises are on the cards particularly for senior accountants at large firms, financial planning and analysis professionals and investment analysts with a good track record, she said. The Hay Group survey also found that nearly nine in 10 employers have re-employed retiring workers when they turn 62, up to the age of 65.